The rose is one of the most important symbols in the world. A red rose represents love, respect, courage and passion. In Greek mythology a red rose was a symbol for the cycle of growth and for love and affinity. In Christendom, the red rose is seen as a symbol of Jesus blood. In Sufi mystical language The Rose is often used as an image of God, and the heart. Luna Guitars' Rose embraces the sound hole and trails gracefully onto the lower bout. The red tinted abalone blossoms are stunning against the blonde quilt maple top. 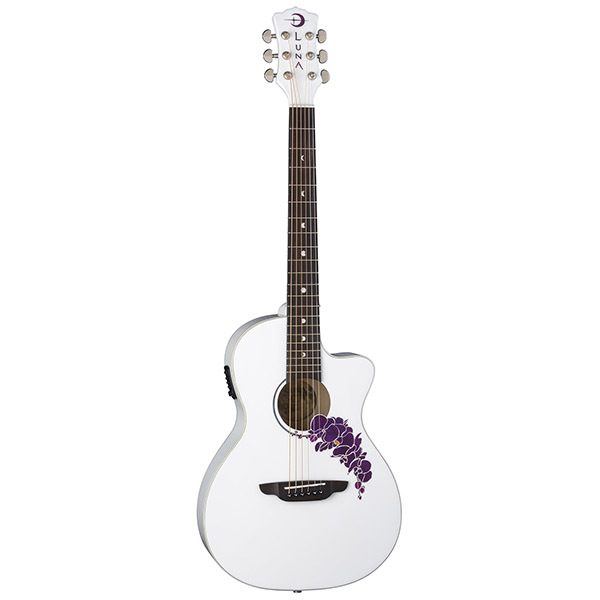 A remarkable instrument to give voice to your own love and passion through music. Plugged in, the state-of-the-art Fishman tuner maintains the intimate and natural acoustic tonal quality of this fine instrument. The Fishman Presys II provides a 2-band EQ with volume control, built-in tuner, and phase switch to fight feedback. 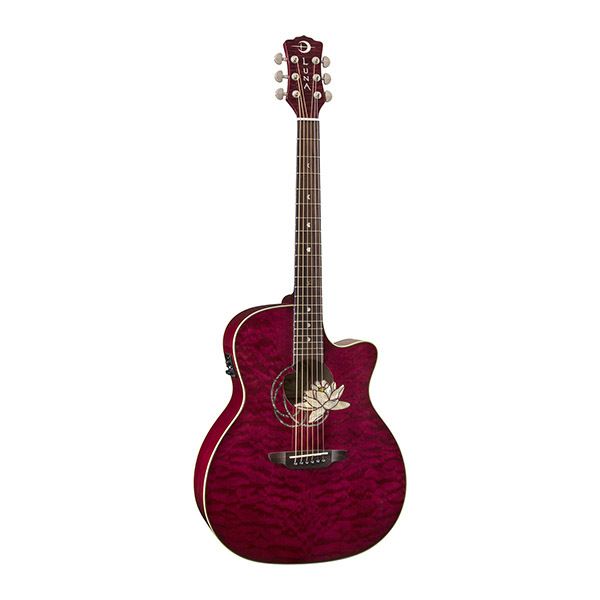 Case sold separately The Flora Rose features a comfortable, folk body that suits a variety of players. 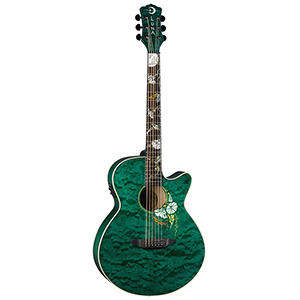 The Rose is a beautiful guitar that sounds as good as it looks.